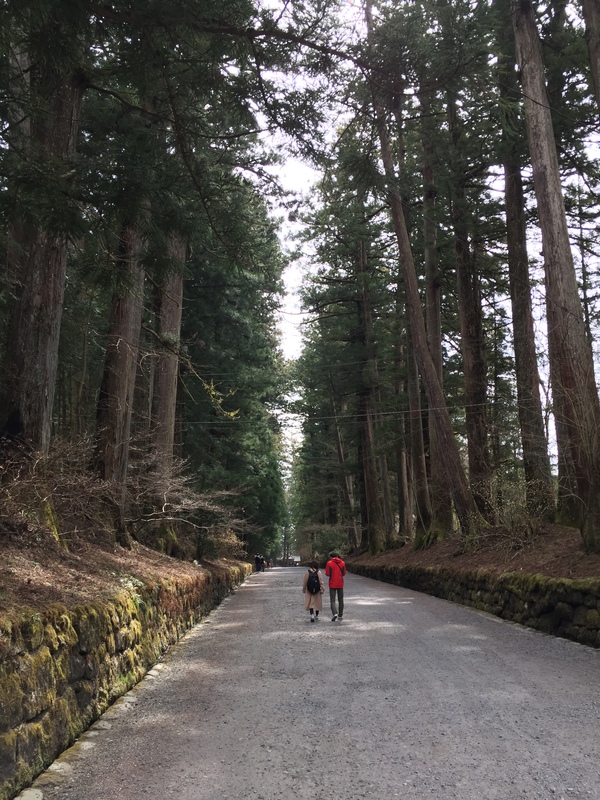 I did get to see one tree start to produce a couple of bud that would eventually explode with cherry blossoms, but that is not what Nikko is really about. 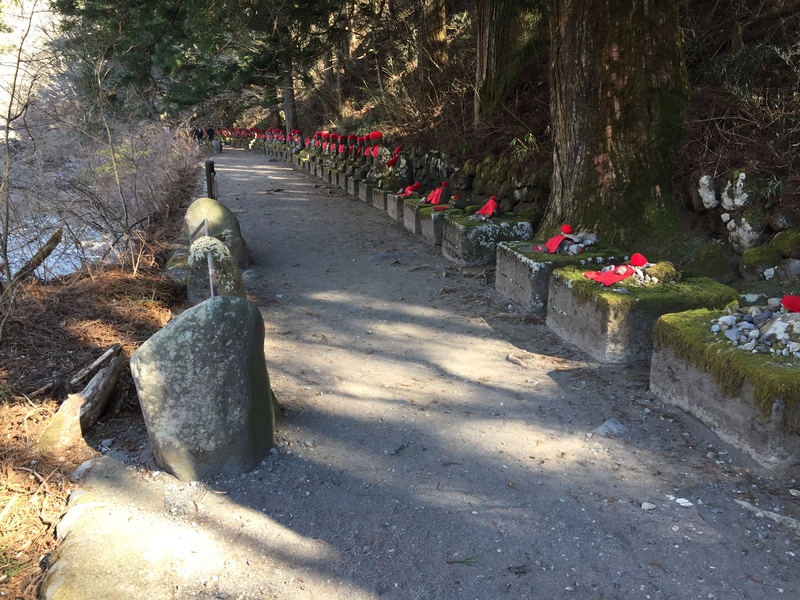 It is more of a mountain town filled with cedars and ancient temples and shrines. The town experiences and influx of people during the autumn months to see a different kind of event with the trees, and it was nice to explore the city during one of the quieter times. That does not mean that people still did not come out for the day from Tokyo to look at the sights before heading back for the evening. This town has the ability to get really busy for the day, but as soon as that last train leaves for the evening, it turns into a sleepy little mountain town again where everything closes by 10:00 in the evening. But it makes sense because all of the amazing things to see are best enjoyed during the daytime, and there really is not reason for a night life. 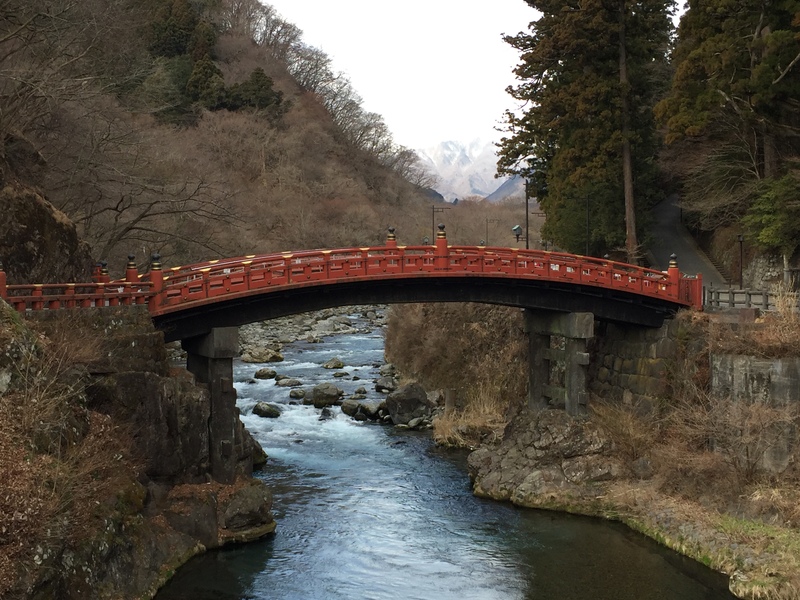 One of the more iconic sights is the Shinkyo Bridge. 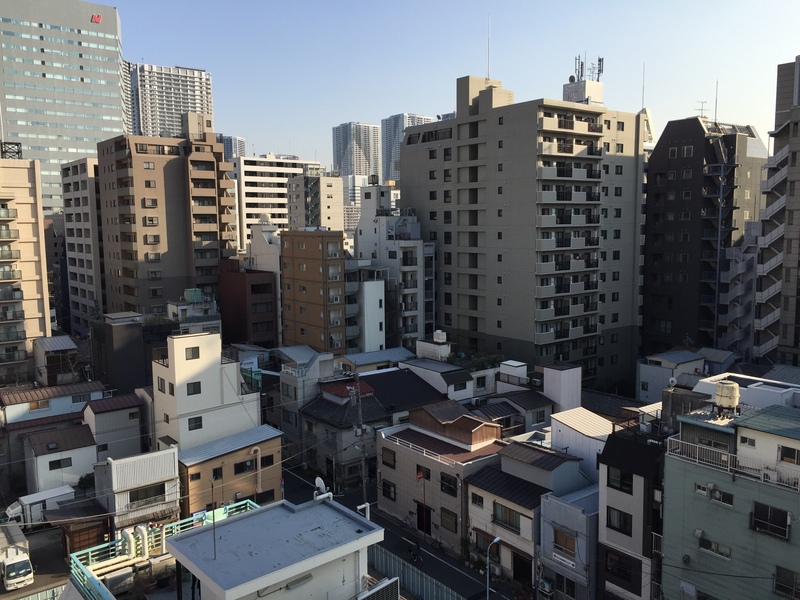 It is right across the street from the Nikko National Park, a World Heritage Site. It is an ancient bridge that spans the river that runs through town, and there is hardly ever anybody on it. 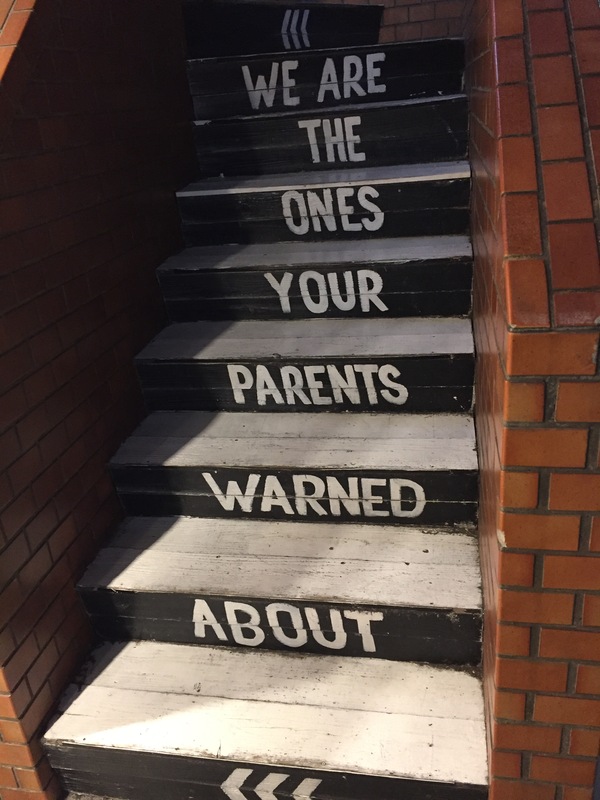 The reason for this is because they charge you to walk across it, and it doesn’t lead to anywhere. In fact, you just have to turn around and come back after you have taken the journey, and you can’t really see the bridge while you are on it. It would be like going to the Rialto Bridge in Venice and wanting to take a picture on top of it. There is another bridge fifty meters from this one that you do not have to pay to cross and it is the perfect place to admire the architecture. This is where you will see the crowds taking their pictures in front of the bridge. 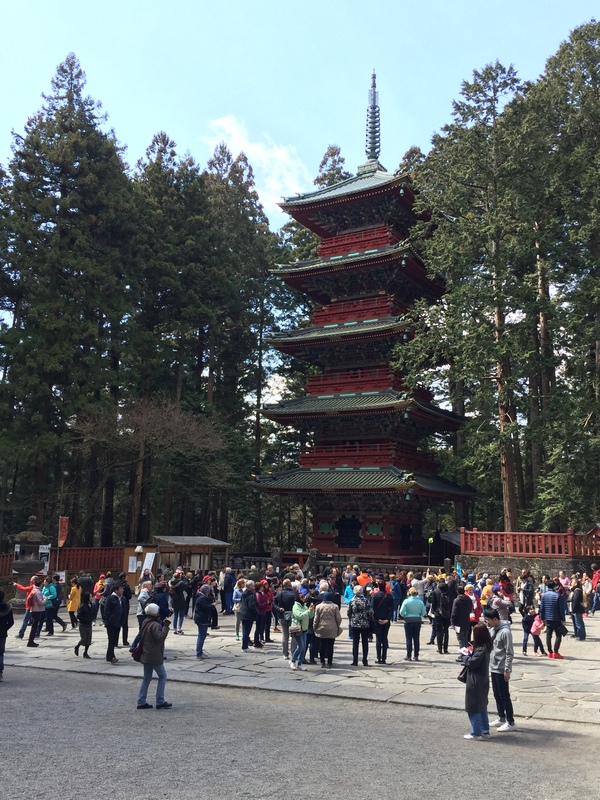 They then travel across the street to see all of the temples and shrines that Nikko can brag about. They will find themselves instantly among the cedar trees and every turn that they take they will find another pagoda, shrine or gate. It is a great fortress that was built during the Shogun era, and you can see how this would have protected people from rival armies. It is also the perfect spot to sit back and listen to the wind blow through the cedars while admiring the amazing art work that has lasted through the ages. 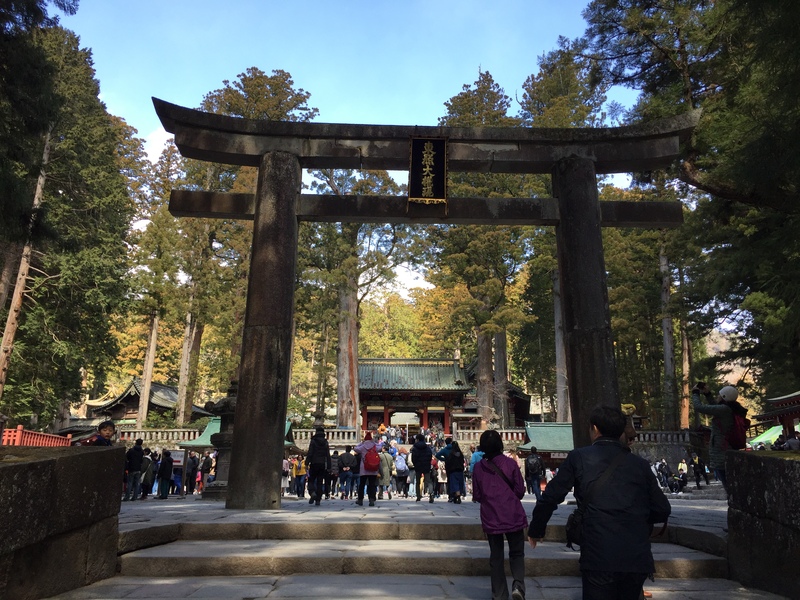 The most impressive of the shrines is the Toshogu Shrine. It is worth the time to go up to the numerous gates and buildings and admire the intricate carvings that decorate the eaves. There are many little treats that you can spot if you spend the time to look for them, and because the crowds were smaller while I was out here, I believe I was given the opportunity to fully appreciate the sight. But the place I enjoyed the most was the one furthest away from the crowds. It was the Kanmangafuchi Abyss Trail. This path runs along the river and you have to walk through a residential area in order to find it. 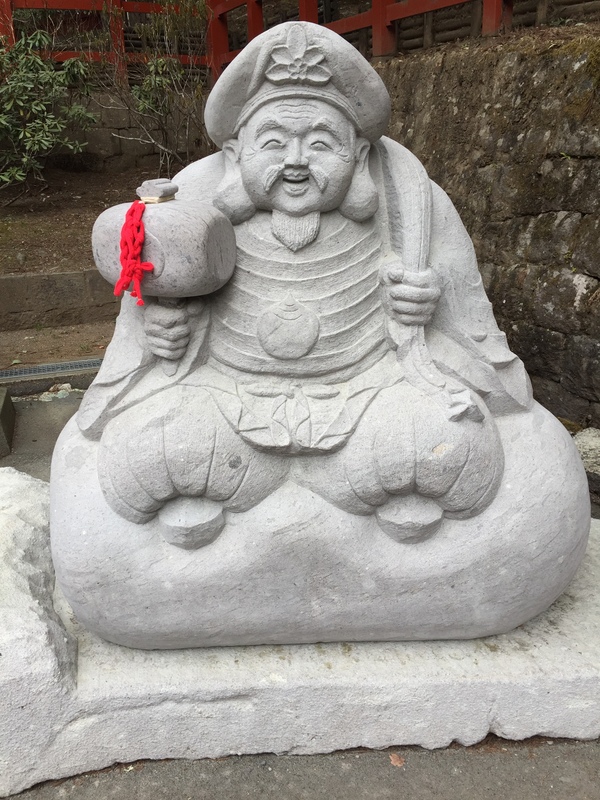 It hold numerous Jizo Buddha statues, a favorite Buddha in Japan because he looks over the children. I know it is probably different during the busier times of the year, but we were only one of three groups of people who had made their way down here. The statues are really cool to see, but the river is also a treat. This is just what the city of Nikko has to offer itself. There is still the mountain area to explore that would make doing this small little mountain town in a day a really hard thing to do.